A Gorgeous Venue for Your Once-in-a-Lifetime Event! Our Event Manager, Amanda, is dedicated to helping you curate your perfect wedding during the planning months, and is there on your wedding day to make sure every little detail is just right so that you can relax on your big day! The Hillwood Ruins feature an expansive lawn and vineyard views. The site can accommodate any party size and numerous tent options, and is our most popular ceremony location. Adorned with reclaimed wood along the walls and wine barrels providing the backdrop to the wedding ceremony, this rustic space can accommodate up to 90 seated guests. Rustic chic meets modern day industrial flair in this vintage style building. The Tank Room of our Production Barn with its vaulted ceilings equipped with gorgeous wooden beams, skylights, and chandeliers, and its oversized stainless steel tanks make it an unparalleled setting for any special event. This space can accommodate up to 150 guests seated with a dance floor. Wedding rentals start at $2,900. Take a Look Inside Our Wedding Brochure! "Having our wedding at the Bull Run Winery was a great decision! The grounds are beautiful and the tasting room is perfect for a wedding reception. What I loved about it (besides the wine which is probably my favorite VA wine) is you do not need a lot of extra decor. Because they have twinkle lights and display cases with Civil War stuff, it has more visual interest than your average venue." "We felt like VIP's from our first visit to the last second of the reception! We absolutely love TWABR's wine! Throughout the planning process Amanda was extremely responsive to any of my (numerous) questions and concerns. On the day of the wedding I was absolutely amazed by the attentiveness of all the winery staff and how smoothly everything went. I highly recommend this venue!" "Words cannot express how amazing this place is to have your wedding!!!! From initial site visit to the actual day, Amanda and crew are there every step of the way to make sure you have the day of your dreams. Amanda is prompt when responding to any question you ask. Having Amanda as your day of wedding planner is awesome. She handles everything from vendors to placement of centerpieces to helping your guests. 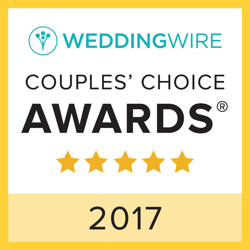 My husband and I cannot say enough nice things about our experience here and highly recommend it!!!" "Immediately upon touring The Winery at Bull Run, my husband and I knew it was the place for us. The staff is wonderful and friendly, the venue is gorgeous, and the wine is top notch. We got so many compliments about how great the wedding was largely due to the staff at Bull Run. Amanda was so great to work with -- very helpful and understanding and she puts you at ease during wedding planning. It is the best feeling knowing that you are well taken care of during such an important time. I can't say enough good things about our experience, definitely book your wedding here for the best day of your life!" 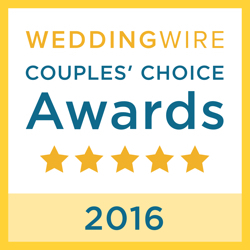 I joined The Winery at Bull Run in 2015 and have had the privilege of coordinating over 100 weddings at our venue! From the moment you sign the contract to the end of your big day, I am there every step of the way to help you bring your vision to life! 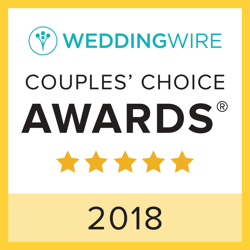 During the planning process, I work with you to find the perfect vendors, coordinate with each vendor leading up to the wedding day, and ensure that no detail is overlooked. I am passionate about making sure your wedding day is a reflection of you, and I work hard to form a personal relationship with you to help make your wedding everything you have dreamed of! On your big day, I relieve you of any day-of stress by making sure everything is in place and the wedding runs seamlessly. I am fully committed to you and my job, and promise to use all my creativity, attention to detail, and problem-solving skills to help make your special day one you will always remember! Appointments are available daily. To schedule yours, complete the form below.